Eave Vents – Do I need them for effective roof ventilation? Roof ventilation is based around the idea of removing existing air in the roof space which requires access to replacement air. normally be gaps at the lower part of the roof. However, although a certain amount of air is available via such openings – once you install a roof ventilator and start removing hot or moist air from the roof space – you will find that the restrictions in the incoming air will reduce the effectiveness of your roof ventilator dramatically. If you only have a single whirlybird – the difference may not be noticeable. However, if you have a high capacity roof ventilator – e.g. a solar roof ventilation fan, which may have a capacity of 2-3 thousand cubic meters/h – it is very important that you ensure there is good access for replacement air to enter the roof space. Normally, the most effective way of ensuring enough air is available for your roof ventilator is by installing eave vents. 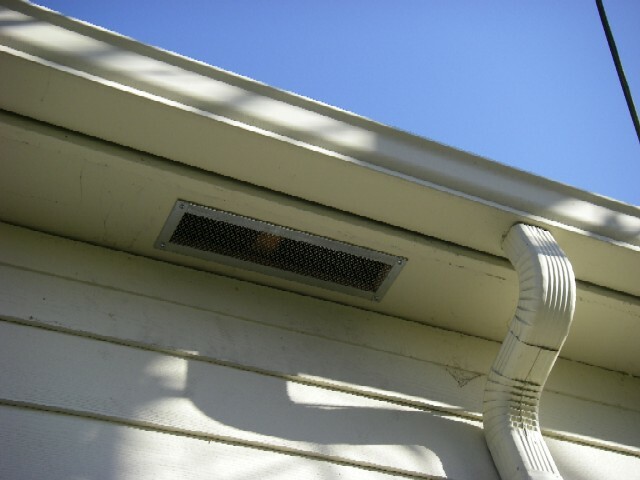 Eave vents are vents with holes, which are mounted under your eaves to let the air enter your roof space, whilst preventing birds, insects, from entering. 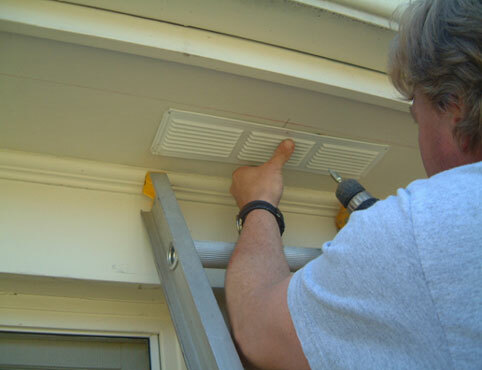 Eave vents are available in many different varieties, materials shapes a sizes. If you have a roof with gables – you may also consider installing gable vents – as an alternative to eave vents. If you don’t have eaves or gables – you may consider installing roof cowls for replacement air. We may put up another post about this alternative at a later stage!